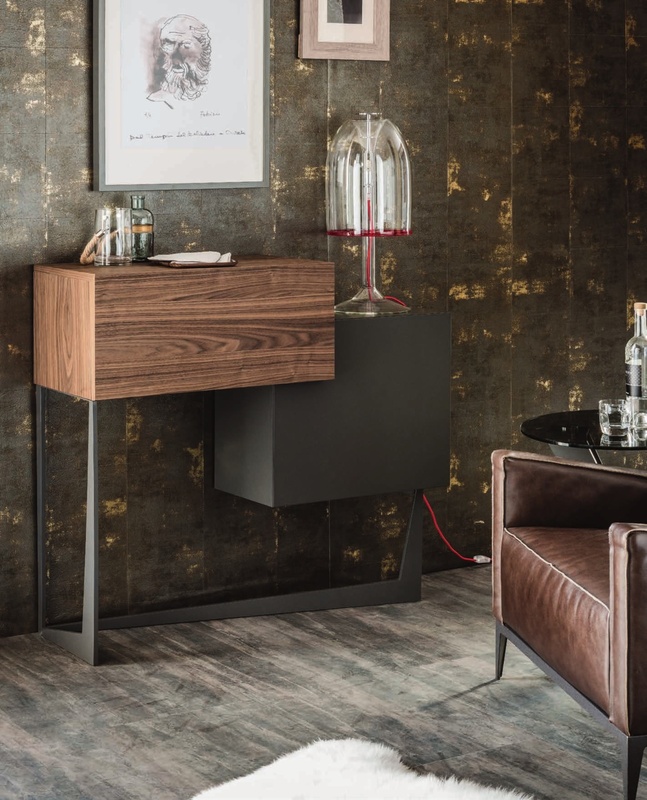 Bar unit in Canaletto walnut and matt graphite or matt white painted wood with mirrored internal frame and glass holder. Base in graphite embossed lacquered steel. LED light. Wall anchorage is required.